Want to know the precise value of your homes for sale in Maryland, VA and Washington, DC? Real Estate Bell agents are always around. Get to know an accurate property value in Maryland to list it at a fair price for a quicker sale. Those real estate listings which aren’t listed at a fair price often see no buyer turnaround. If you don’t want your property to meet up that fate, talk to Real Estate Bell for a fair property evaluation. Seeing no buyer interested in real estate listings of your contemporary home with all modern features? Probably, you haven’t priced it right. If you continue to list your property for sale at those high prices then you will get nothing but despair in return. Remember, one price isn’t suitable for all property sizes. Overhyping the price could cost you customer turnout. This is the reason; keep your home price tagged at a price which buyers are willing to spend. But for that precise home evaluation, you can come to Real Estate Bell and sell your home fast. 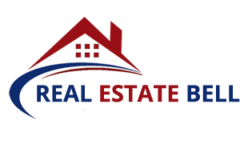 How Real Estate Bell Gives You An Accurate Property Evaluation? Your Property’s Complete Floor Plan. Contemporary Features of Your Kitchen. Construction Date While Keeping Obsolescence in Consideration. The Number of Skylights, Windows and Other Contemporary Add-Ons. Why struggle to know the true property value in Maryland, VA or Washington, DC? We don’t skip even a minute detail. Our realtors take note of every amenity in your home and add that price to the final list so that you get a price that really gives you returns on investments. Let Real Estate Bell agent come forward to reveal the listing price of your property that’s close to market rates. We don’t leave you alone while deciding the price for your real estate listings. We know that this can make or break up the deal. So, we are with you in deciding the accurate value of your property for sale in Maryland to help you sell your realty faster. Call us today at 202-871-0555 to know more!